This new software allows you to evaluate the size and angle of the balance. BALANCINGTest is designed not only for classic PC and LCD monitors but for industrial systems that are controlled by touch LCD monitors. All measured results are stored in the central database. This database contains basic statistical methods and results filtering by order number, test data, balancing piece type, etc. 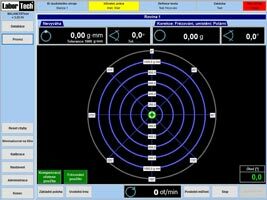 The BALANCINGTest software is designed for serial dynamic balancing.